A Jamaican carpenter, accused of overstaying, drug trafficking and forgery of a Guyana driver’s licence, was Tuesday refused bail and remanded to prison. 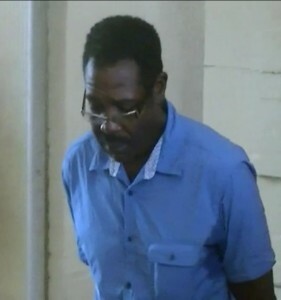 Alfred Wellington, who resides at Friendship, East Bank Demerara, allegedly had 1.324 kilogrammes of cocaine in his possession for the purpose of trafficking on April 2, 2016. Police further alleged that between April 18, 2011 and April 2, 2016 he failed to comply with conditions of a permit and overstayed his permitted time in Guyana. Wellington is also accused of conspiring with a person or persons unknown to forge a driver’s license in favour of himself to show that it was issued by the Guyana Revenue Authority’s (GRA) Licence and Revenue Office. Chief Magistrate, Ann Mc Lennan refused the accused bail because no special reasons were given. Wellingston was refused bail and remanded to prison until April 25, 2016. Defence Lawyer, Peter Hugh told the Court that police found no drug in Wellington’s possession, but instead the lawmen took the man to a lower flat of the building where they showed him a bag containing the alleged narcotic. Hugh told the court that his client did not accept ownership of the bag and its contents and that they were not found in his presence. However, Police Prosecutor Inspector, Neville Jeffers told the court that the cocaine was found in the presence of Wellington and that he showed the officers where the narcotic was found. Jeffers objected to bail on the grounds that the accused is a flight risk because he is not a Guyanese. Police have since held his passport. The lawyer also used the opportunity to tell the court that police alleged stole a quantity of money that was in his client’s passport.